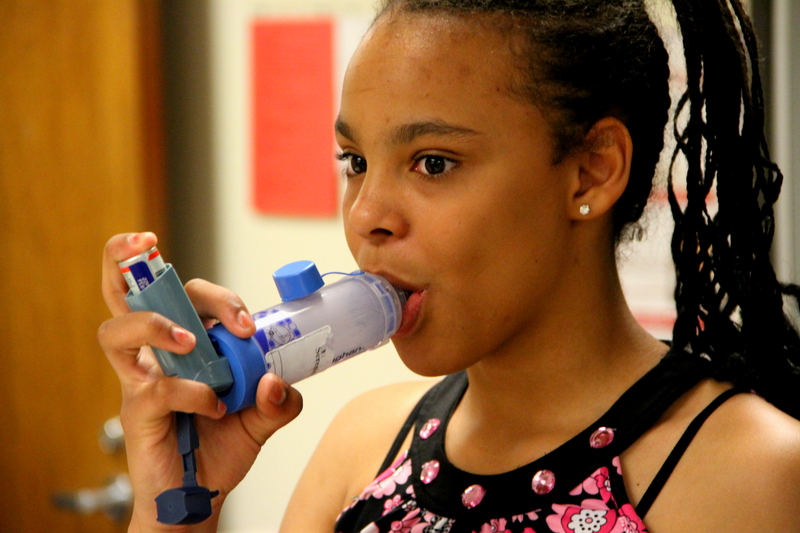 Serenity Williams-Fregia,13, uses her inhaler in the school nurse`s office at Morgridge Academy in Denver, Colorado. Doctors at National Jewish Health say students with asthma need to have a system in place for their medication before they go back to school. DENVER, CO July 31, 2013 — 13-year old Serenity Williams-Fregia loves school, but dreads the start of it. Like seven million other children in the U.S., Serenity has asthma, and shortly after classes start, so do her breathing problems. “It happens every year, I always get sick. Very sick, actually, and I feel like just as school begins, I’m already falling behind,” she said. Serenity is not alone. According to the Centers for Disease Control and Prevention, children with asthma miss a combined 14.4 million school days a year, which is about 80,000 a day. Many of those occur just after school begins when conditions are at their worst. “This time of year, it’s a perfect storm to set many kids up for asthma attacks,” said Kirstin Carel, MD, a pediatric allergist at National Jewish Health in Denver. “You’ve got this triple whammy of conditions, with the viruses going around, because the kids have all gone back to school and they’re sharing them, then there are allergens feeding into their asthma, and they may not have been as consistent with their medications over the summer as they should have been,” she said. Over the summer months, some children quit taking their asthma medication. “For those who can, it’s nice to have a break from the medications over the summer,” said Dr. Carel, but if they don’t get into the routine of taking it before school starts, they can quickly get into trouble. “I always want them to re-start taking medications at least two weeks before going back to school,” said Dr. Carel. 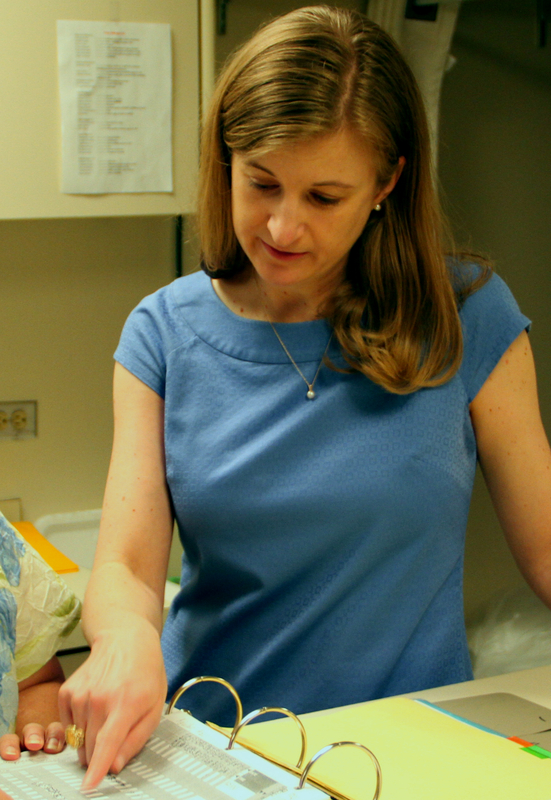 “Fortunately, we have great medications that can help keep their inflammation down as much as possible, but it’s a matter of them having the medicine in their system when it needs to be in their system,” she said. If you have a child with asthma, doctors recommend these tips to keep them healthy when heading back to school. Just like shopping for school supplies or new clothes, make back-to-school asthma planning an annual routine. Check all your child’s medications to make sure they are not expired, especially if using less medication during the summer months. Make an appointment with your child’s school nurse to fill out all necessary paperwork before school starts and make sure rescue medication is at the school in case of emergencies. Teach your child good hygiene. During the school day your child will interact with dozens of other children, touching and using the same supplies and equipment. Make sure they wash their hands often or carry hand sanitizer to use throughout the day, especially before eating. “A little planning can go a long way in making sure your child is safe, especially at a time of year when the conditions are most likely to cause problems,” said Dr. Carel. National Jewish Health is known worldwide for its treatment of patients with respiratory, cardiac, immune and related disorders, and for groundbreaking medical research. Founded in 1899 as a nonprofit hospital, National Jewish Health remains the only facility in the world dedicated exclusively to these disorders. 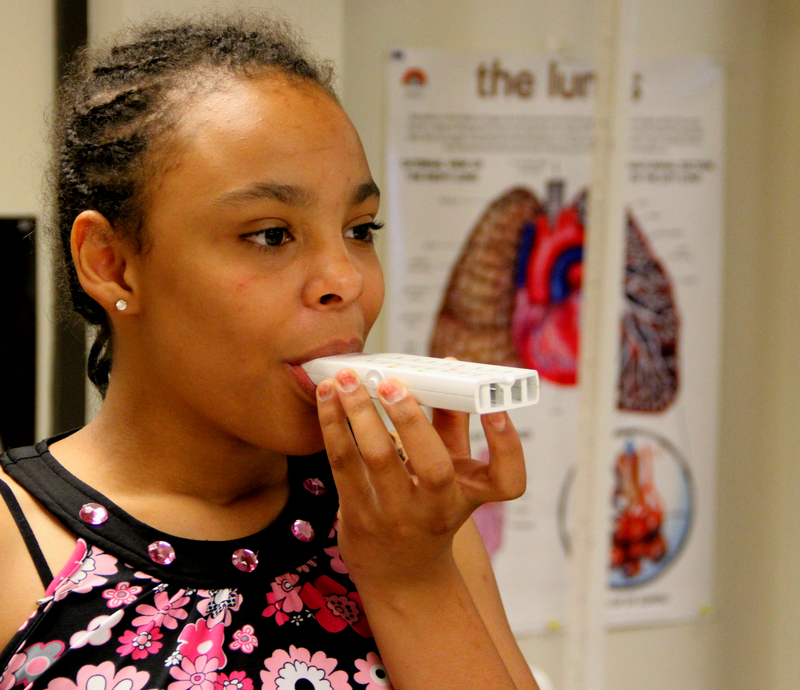 Serenity Williams-Fregia,13, performs a breathing capacity test in the school nurse`s office at Morgridge Academy in Denver, Colorado. Doctors at National Jewish Health say the best way to handle problems with asthma is to anticipate them. 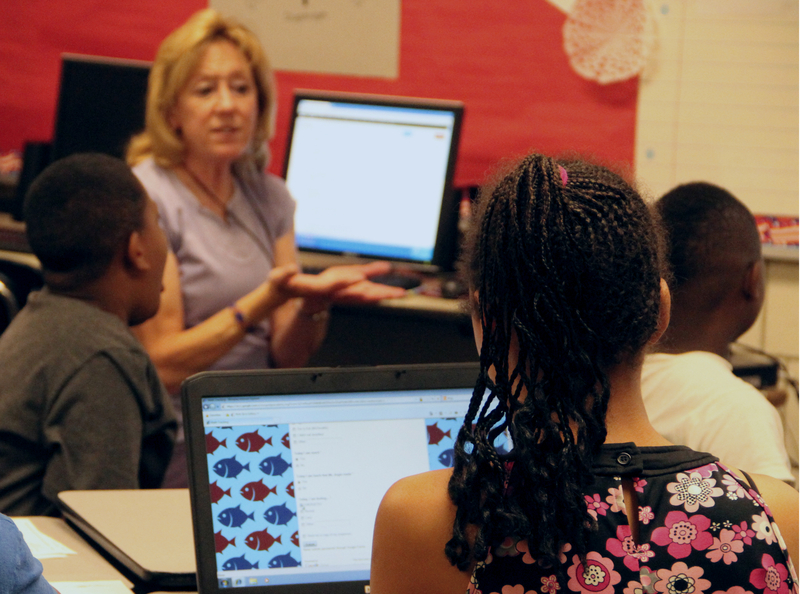 These students attend Morgridge Academy in Denver, Colorado. Doctors at National Jewish Health, also in Denver, say parents who have children with asthma should plan ahead to avoid any unnecessary absences during the school year. 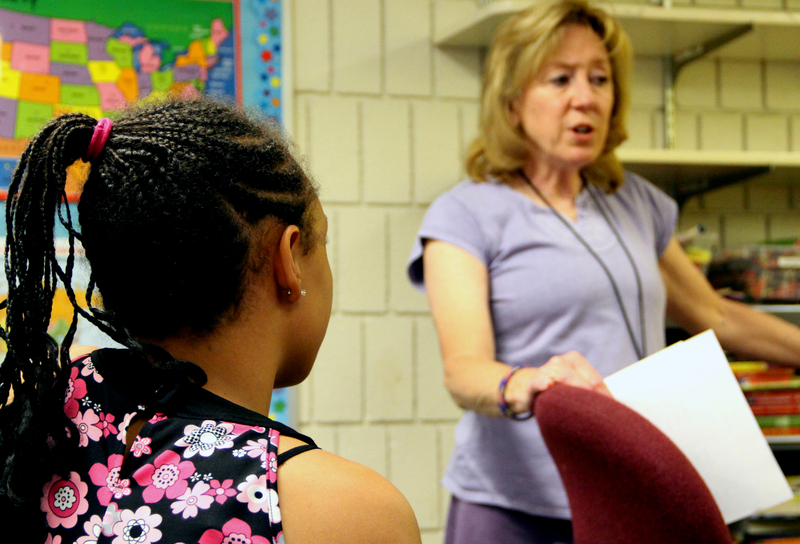 Serenity Williams-Fregia,13, listens to her teacher at Morgridge Academy in Denver, Colorado. Doctors at National Jewish Health say there tends to be a spike in emergency department visits for asthma a few weeks after Labor Day. Serenity Williams-Fregia,13, uses her asthma medication all year round to control her asthma, even in the summer months. Doctors at National Jewish Health say all students should have a plan in place for their medication before they go back to school. 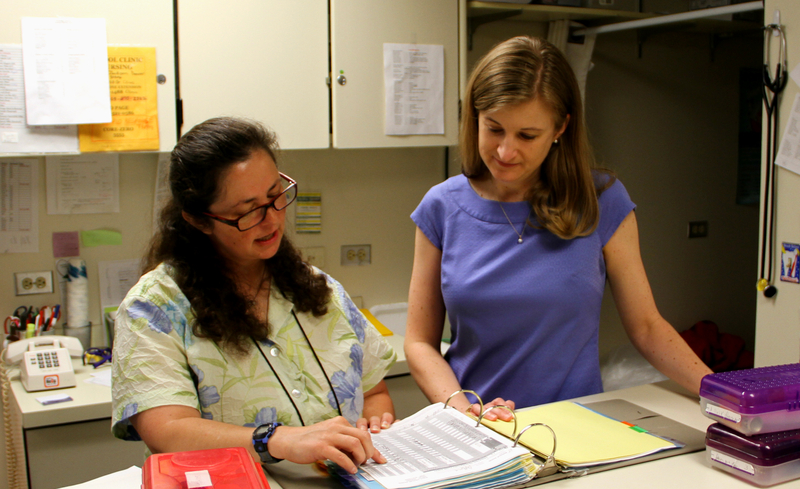 Dr. Kirstin Carel from National Jewish Health and a nurse at Morgridge Academy in Denver, Colorado compare notes on medications. Dr. Carel says it is important for parents to keep their child`s medication up to date for when they go back to school.